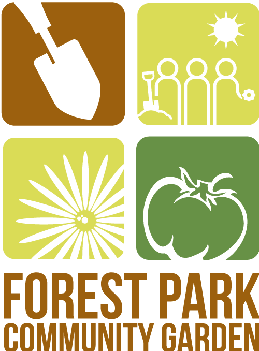 The Forest Park Community Garden was mentioned quite extensively in a column by Stephanie Kuehnert in this weeks' Forest Park Review. You can read the column here . We're always looking for ways to get the word out, and this sort of thing definitely helps that effort along. Click here to read the article that appeared in the Review last July. Sorry about previous incomplete message. I saw the article in the Review and am excited about a community garden in town. I'd like to donate a couple of dahlias that I've mail-ordered (have not arrived yet). I can plant them, might need help with the staking in July-Aug-Sept.